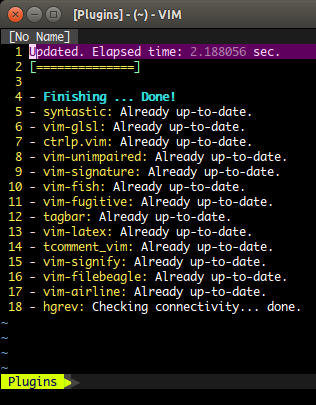 Vim-Plug is a plugin manager for Vim which can automatically install, upgrade or delete plugins for you. The plugins you want to manage should be available on Github. :PlugUpdate to install or update the plugins from Github. :PlugClean to remove the files of plugins which are no longer managed. If you do not run this command, files from unused plugins will be retained. :PlugUpgrade to update the Vim-Plug plugin itself.